India last week inked a USD 5 billion deal to purchase S-400 Triumf air defence system from Moscow. The mega deal was sealed in New Delhi during the visit of Russian President Vladimir Putin. 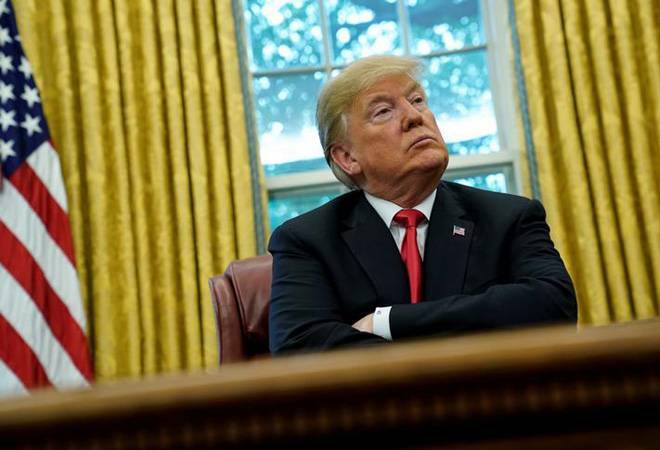 President Donald Trump on Wednesday said that India "will soon find out" about his decision on the punitive CAATSA sanctions after India signed a USD 5 billion deal to purchase the much-vaunted S-400 air defence system from Russia. Under the Countering America's Adversaries Through Sanctions Act or CAATSA sanctions, which was amended early this year, only Trump has the authority for the presidential waiver to India on weapons deal with sanctions-hit Russia. India last week inked a USD 5 billion deal to purchase S-400 Triumf air defence system from Moscow. The mega deal was sealed in New Delhi during the visit of Russian President Vladimir Putin for the annual summit with Prime Minister Narendra Modi. Asked about the agreement between India and Russia, Trump while interacting with reporters in the Oval Office of the White House, said, "India will find out. Aren't they?" "India is going to find out," he reiterated in response to India specific question. Asked when, he said, "You will see. Sooner than you think." "The (CAATSA presidential) waiver is narrow, intended to wean countries off Russian equipment and allow for things such as spare parts for previously-purchased equipment," a White House National Security Council Spokesperson had said after the conclusion of the S-400 contract. The US embassy spokesperson in New Delhi had said that the CAATSA was aimed at Moscow and not intended to damage the military capabilities of its "allies and partners."